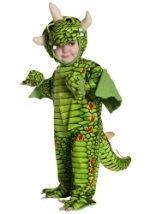 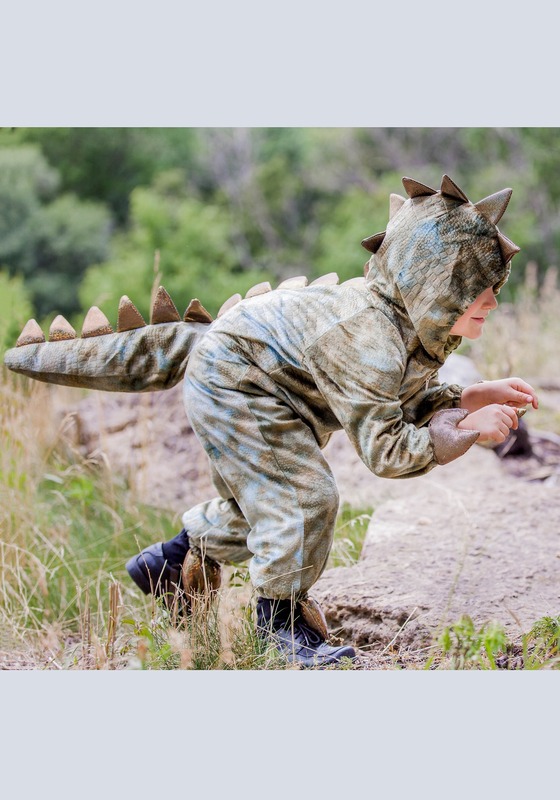 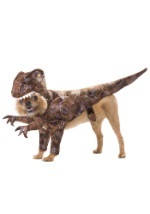 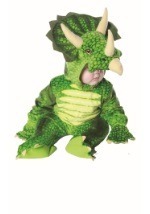 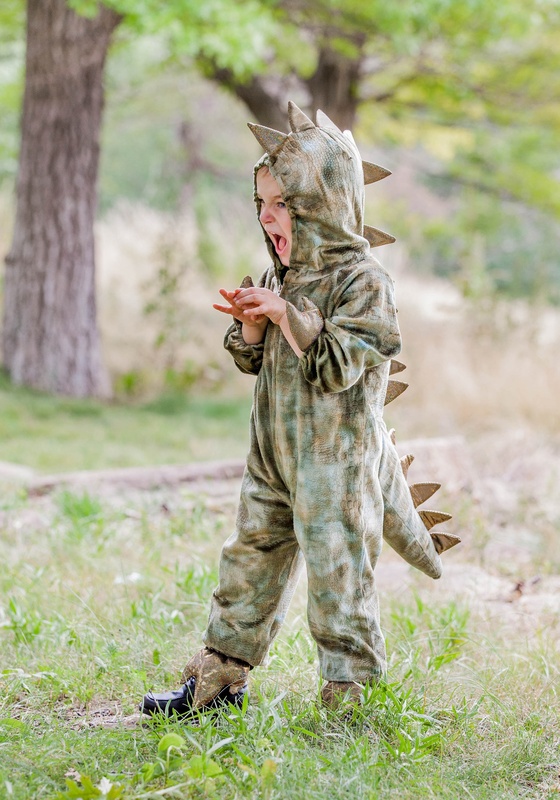 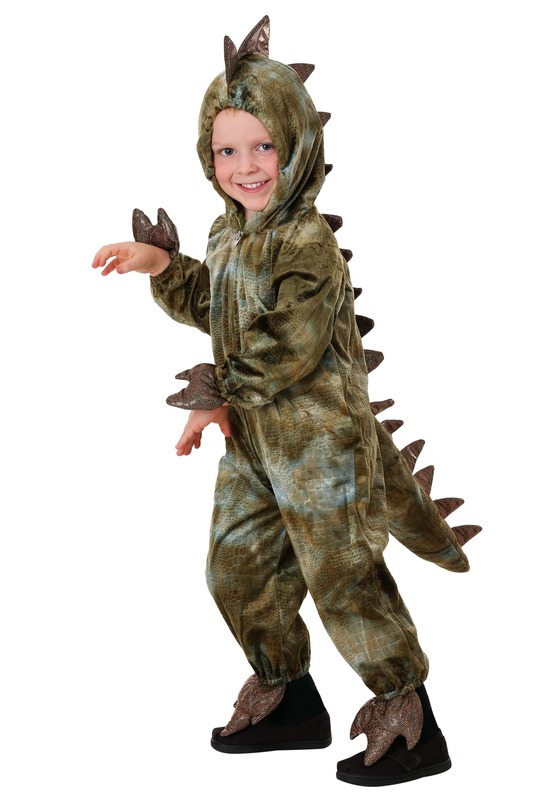 This dinosaur costume is a cute way for your toddler to replicate the look of a giant T-Rex. 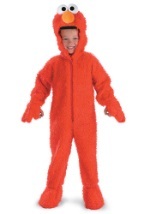 The costume includes a green, polyester jumpsuit that has an attached hood and zips in the front for closure. 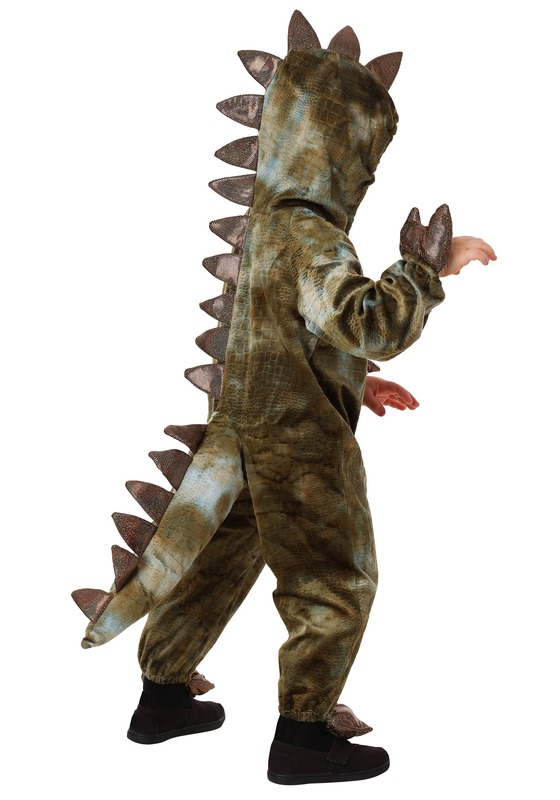 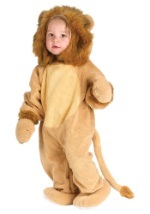 The long sleeves and pant legs are secured in place with elastic and have attached claws. 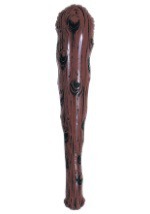 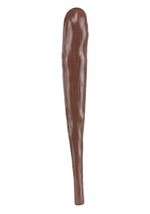 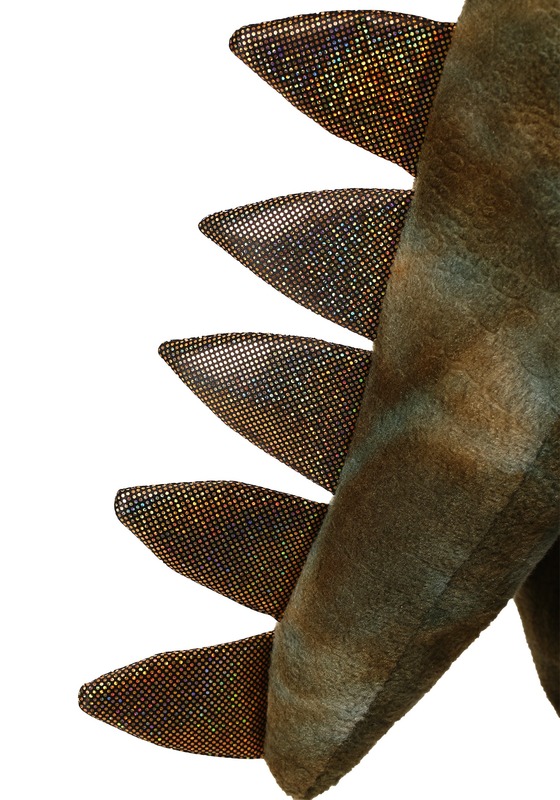 These claws and the spikes down the back are made from a shiny gold material. 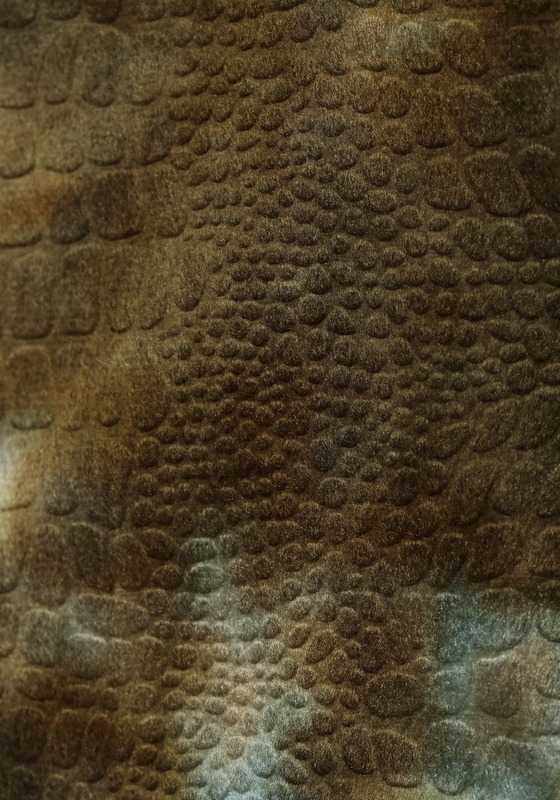 They are filled with foam, along with the thick tail, to maintain their shape. 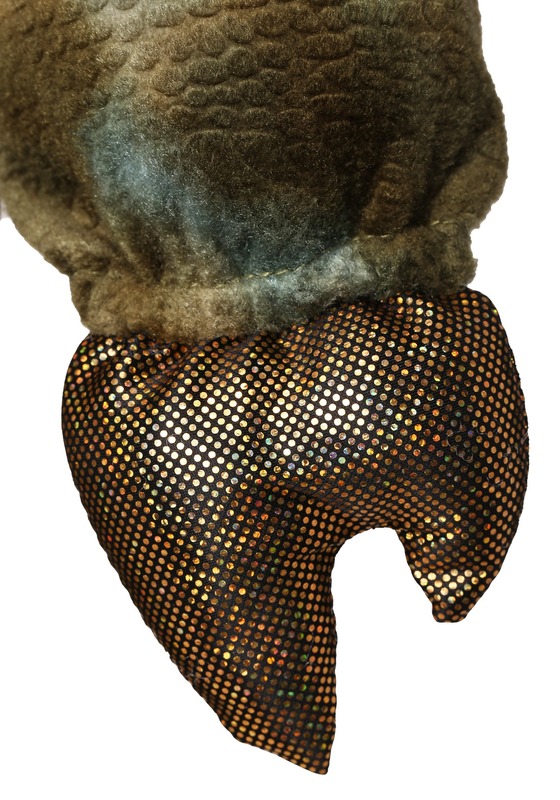 The hood is also secured in place with elastic. 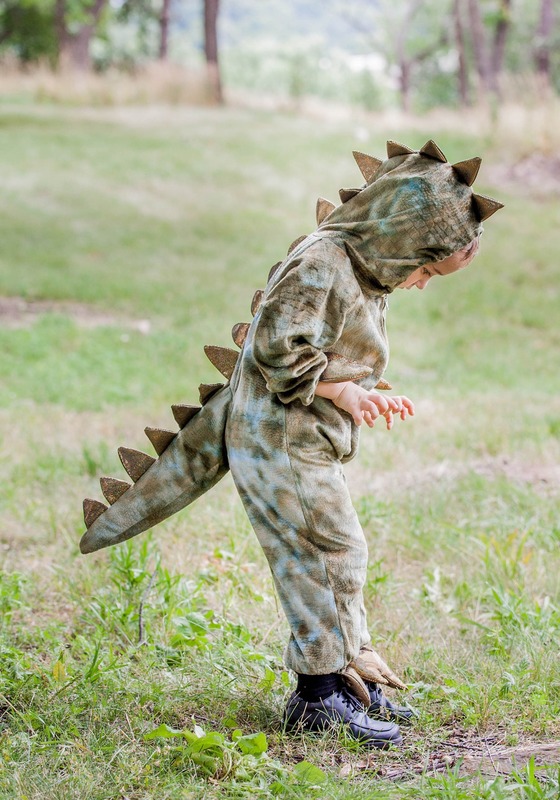 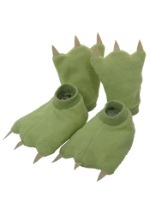 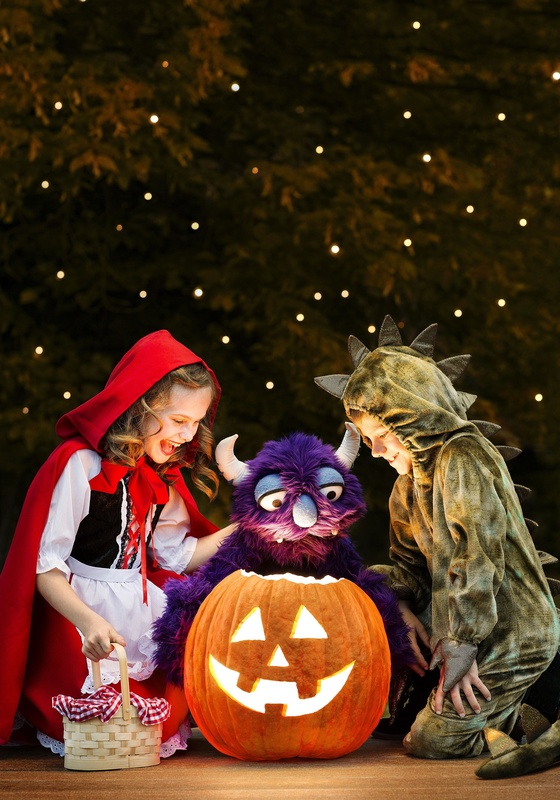 Be the cutest trick-or-treater on the block with this dinosaur costume.